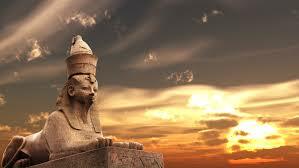 My own experience of Kaha Ra Mirimiri was about the sphinx energy of the divine feminine. It pertains to finding our voice for wahine of Aotearoa to bring through the truth of our past. There is an energetic pathway that aligns us all from the ruins of this magical, mysterious place in Egypt that holds the layers of our existance as an Earth worshipping species, honouring the Goddess. In this sacred place there is a hollow earth and chamber system beneath her…the river beneath the river – holding ancient memory of our true past in Lemuria. During my healing experience I received a message. It came through my throat and higher heart chakra – ” Wahine of Aotearoa – Its time we step up and take back our power, that which was lost to the colonialized version of what we know today. Its time we changed the stories and help piece together the ancient wisdom of the womb, to reweave and recreate her story. The Divine feminine consciousness is ripe and ready to rebirth into the collective consciousness of humanity.” I further intuited that we have all been waiting for her to awaken. All men are being called to accept, embrace and embody their own divine feminine consciousness – as it is held within every human soul on this planet. She has been lost for a long time (tears are running down my cheeks as I share this) and now she is ready for us to manifest her into our deep collective consciousness. She thanks us for finally remembering her and asks that we work collectively, cooperatively and compassionately to raise our consciousness to a place of reverence, majesty and glory to raise humanity to the next paradigm of evolution. She is the Rosa Sophia the Soul Spirit of the earth and she has now finally surfaced. She is now fully ready, present and knocking on our door for us to embody her powerful essence so that She can work through us, within us, around us and beyond us. This is the magic that we have been waiting for – to evolve humanity from 3rd/ 4th Dimension to 5th – This is the Golden age that we have been promised. Welcome everyone to this new paradigm of existence – to the Evolution of humanity!